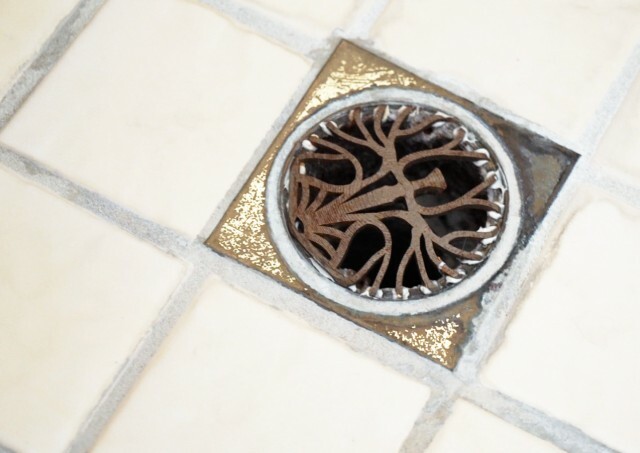 The old drain covers were really worn out. So worn that they were broken. I even pinched myself on it once! So I made some new ones, in the form of the family crest! Much more sturdy.